Rugged-built, high-efficiency air filtration. Restore and maintain indoor air quality during cleaning, remodels and remediation. Suitable for use in homes, light industrial settings, schools, hospitality venues and healthcare environments wherever portable, efficient HEPA filtration is needed. Duct sizes: Intake: 12 in. / Outlet: 8 in. 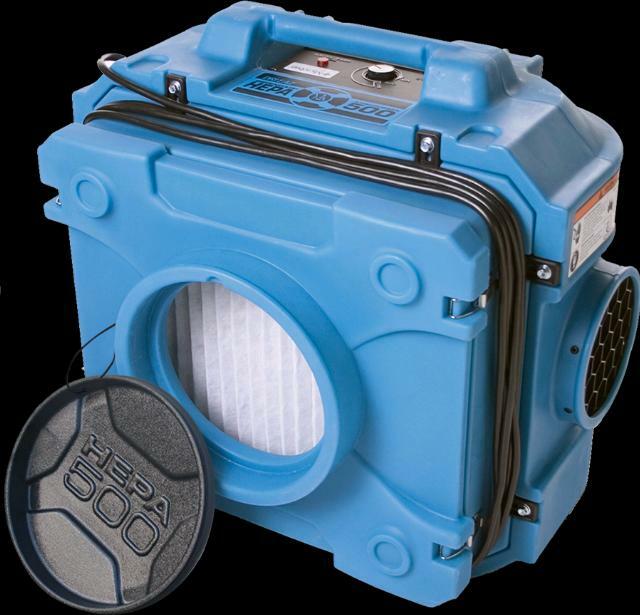 * Please call us for any questions on our scrubber defendair hepa 500 rentals in Brownsburg IN and the Indianapolis metro area.